South Korean fried chicken has taken Asia by storm. Some of the country’s most popular chicken franchises have opened up locations throughout East and Southeast Asia. But, there’s a dark side too. South Korean fried chicken has taken Asia by storm. Some of the country’s most popular chicken franchises have opened up locations throughout East and Southeast Asia. And back home in Korea, there are so many chicken restaurants that regulations had to be passed to limit the number of these businesses from opening on one block. But, there’s a dark side too and it’s causing some restaurant owners to go broke. 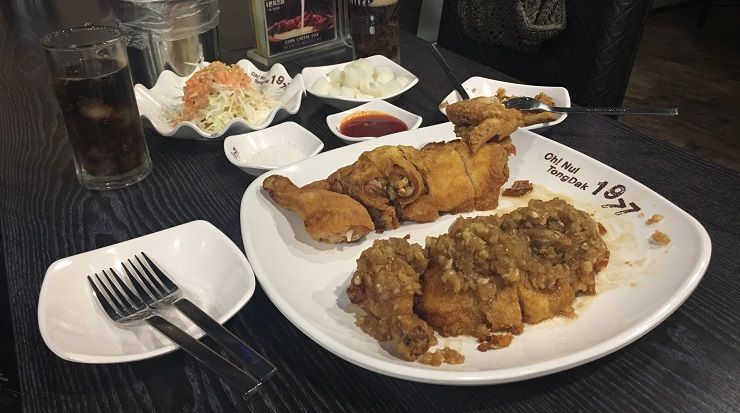 The main difference between American and Korean styles of fried chicken comes down to the marinades. Popular ones here are soy sauce or garlic, but the quintessential Korean flavour is yangnyum. 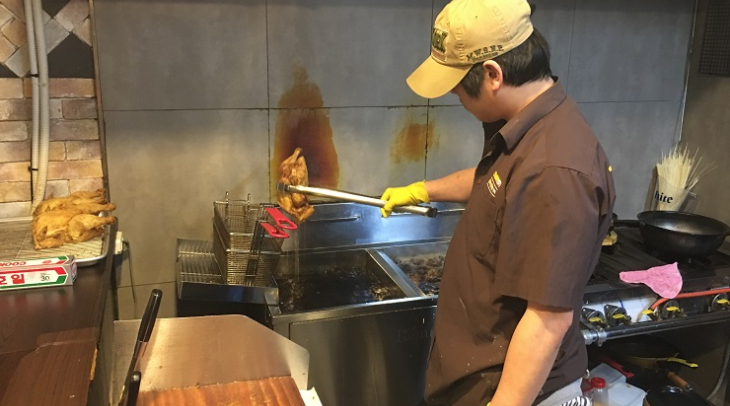 Lee Seon-young, who runs a chicken and beer restaurant in my neighbourhood, squeezes the sweet and spicy sauce over a batch of crispy tenders that he just pulled out of the deep fryer. Unlike Colonel Sanders’ original recipe, the ingredients for yangnyum are no secret. “I usually just buy it, but its made of sugar syrup, pepper paste, ketchup and paprika powder, ah, and some other stuff,” Lee happily told me. There are around 50-thousand chicken joints in South Korea. Most are franchises and deliver right to the customer’s door via motorbike. It’s not unusual for there to be dozens of these small restaurants in any residential area. She says chicken restaurants exploded onto the scene 20-years ago after the Asian financial crisis, which took a big toll on Korea’s economy. She explains there’s a notion here that if you want to own your own business, you should open a restaurant, even if you have no experience in the food industry or know how to cook. So entrepreneurs pay for culinary classes at chicken academies run by the franchises. Shin Hyun-ho runs a school in Seoul. He teaches newcomers to the business how to cook as well as manage a franchise. He says it’s a competitive industry, but still easy to be successful. “Everyone likes chicken, so there are plenty of customers,” believes Shin. “And the initial investment doesn’t have to be that much, its up to the new owner,” he said. A low investment is what attracts many entrepreneurs into the chicken business. Three years ago, Park Shi-kyung took out a $150,000 loan to open this restaurant. The 45-year old already ran his own sign making company. But he says he needed to earn more money to support his family. “I’m at an age when I need to earn more money so I can pay for my two kids’ private education to get them ready for university. But running this kind of business was harder than I thought it would be,” he admits. Park’s restaurant is one of about 50 chicken places in this neighborhood alone. And he says the competition as well as a lackluster economy is making it almost impossible to earn any money. “Ahhhh, well, on average, in a month, I don’t make any money at all. After paying back the loan, buying ingredients, paying my staff and paying rent, my profits are zero. Right now, nothing,” Park revealed. Chicken industry book author Jeong Eun-jeong says Park’s situation is typical. Most franchise owners never make a profit. She says they can’t close their restaurant, either, because then they really lose everything. “Most chicken restaurant owners use their apartments as collateral when they take out a loan to open their restaurants. 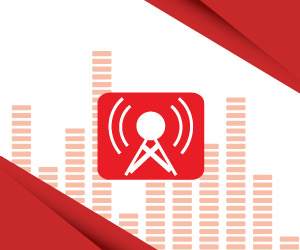 So, they also lose their homes when the business fails,” she said. Jeong estimates that each year, about half of all chicken restaurants in Korea go out of business. But that’s not stopping new entrepreneurs from entering the market. A lack of jobs for college graduates has seen restaurant owners get younger and younger. Like 31-year old Lee Seon-young, owner of my neighborhood chicken joint. Lee says he knew how tough the chicken business was when he opened this place six months ago. He tells me there’s even a phrase to describe the competition between restaurants. Lee says business is so far pretty good. He’s not playing the chicken game.